Saul (Paul) and Barnabas returned to Antioch of Syria after many months on a journey that began with the Holy Spirt saying, “Now separate to Me Barnabas and Saul for the work to which I have called them.” (Acts 13:2) That “work” included preaching the Gospel in several countries and opening “the door of faith to the Gentiles.” This was something that “both” Barnabas and Saul did, so again we see a powerful connection back to the Jewish apostles in Jerusalem who sent Barnabas from Jerusalem to Antioch as their representative. It was Barnabas, representative of the Jewish apostles in Jerusalem, who saw what God was doing in Antioch and traveled to Tarsus to find Saul. It was Barnabas, representative of the Jewish apostles in Jerusalem, who brought Saul back to the Antioch Church to minister to the congregation of Gentiles and Jews. It was Barnabas, representative of the Jewish apostles in Jerusalem, who the Holy Spirit sent with Saul to open the door of faith to the Gentiles. It was Barnabas, representative of the Jewish apostles in Jerusalem, who returned to Antioch with Saul to tell the church congregation all that God had “done with them, and that He had opened the door of faith to the Gentiles.” It was Barnabas, representative of the Jewish apostles in Jerusalem, who traveled with Saul to Jerusalem to face those same apostles about what they had done in opening the door of faith to the Gentiles. Was Paul an apostle or a fraud? Let’s see what happened when he and Barnabas met with the apostles in Jerusalem. If they thought Paul was a fraud, this would be their opportunity to call him out and set the record straight forever. Even though the Holy Spirit sent Peter to preach the Gospel to Cornelius and other Gentiles in his family, and even though the Holy Spirit sent Paul and Barnabas to open the door of faith to the Gentiles, that didn’t convince everyone in Jerusalem that what was going on was of God. Did Paul and Barnabas have any problems with the men from Judea teaching the Gentiles in Antioch that they had to be “circumcised according to the custom of Moses” or they couldn’t be saved? You bet they did — “Paul and Barnabas had no small dissension and dispute with them.” Paul and Barnabas knew God’s message to the Gentiles and they were not about to let these men from Judea preach anything different without opposing them. That dissension and dispute led to a remarkable meeting in Jerusalem with Paul and Barnabas on one side, the men from Judea on the other side and the Jewish apostles trying to decide what to do. Here’s what happened between Antioch and Jerusalem. So, what will the apostles and elders do about this dispute? On one side are the Pharisees who believe Gentiles can be followers of Christ only by being circumcised and keeping the Mosaic Law. On the other side are Paul and Barnabas who the Holy Spirit used to open the door of faith to the Gentiles. Paul and Barnabas do not believe that Gentiles have to be circumcised or keep the Mosaic Law to become legitimate followers of Christ. What will they do? Remember Peter? Remember his experience with the sheet and the Gentile men who came from Cornelius? Remember that Peter saw the Holy Spirit fall on the Gentiles in the same way He had fallen on Jews at Pentecost? Will Peter say anything? If he does, what will he say? Paul, Barnabas, Judas and Silas traveled together to Antioch. They gathered the church members together and read the letter to them. Church members in Antioch “rejoiced over its encouragement.” Judas and Silas, who were both prophets, exhorted and strengthened the Christians in Antioch with many words. They stayed in Antioch for a time, but Judas eventually returned to Jerusalem with greetings from the believers to the apostles. Silas remained in Antioch. What we see in this amazing exchange is more evidence that the Lord’s apostles in Jerusalem accepted the apostleship and ministry of Paul. If Peter wanted to expose Paul as a fraud, he missed his opportunity to do that. Instead, Peter stood up in support for what God was doing through the ministry of Paul and Barnabas. If James wanted to expose Paul as a fraud, he also missed his opportunity to do that. Instead, James agreed that what Paul and Barnabas had done in opening the door of faith to the Gentiles was of God. 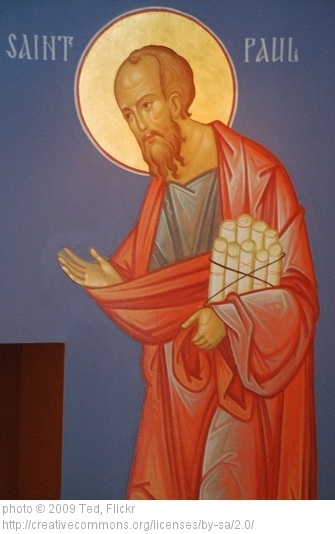 In the letter James wrote to the Gentile believers in Antioch, he called Paul “beloved.” James also wrote that Barnabas and Paul had “risked their lives for the name of our Lord Jesus Christ.” That is an extremely STRONG endorsement by James and the Lord’s apostles for the apostolic ministry of Paul and Barnabas to the Gentiles. This face-to-face meeting between Paul and the Jewish apostles should CRUSH any argument that Paul was fraudulent in his claim to be an apostle. However, that has not been the case during almost 2,000 years of Church history. Join us next time as we look at that history and attempt to determine why people have opposed Paul’s ministry with such vigor through the centuries, even to this day. While re-reading your essay, it occurred to me that I failed to mention that just because Paul of Tarsus, or his press secretary, Luke, informs us that one of the Twelve said this or did that…hardly makes it so. One should treat this wilderness wanderer and international man of mystery with a healthy dose of skepticism, especially when one considers that he is attempting to dismantle the foundation Christ built…one block at a time. I know this is a hard pill to swallow and that changing a belief-system or changing one’s behavior, is never met without inner-conflict, but we must look at the big picture to see what lies beneath. Mark, from what I have read, thus far, I am more convinced by the silence of our Heavenly Father, His glorious Son and the Twelve, than all the words of Paul. The word of Paul should never be confused with the word of God. Our Heavenly Father called men, Lord Yeshua recruited them, but Paul came under his own power and with his own agenda.